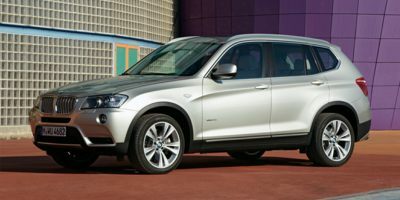 Find the latest 2014 BMW X3 recalls as issued by the National Highway Traffic Safety Administration (NHTSA) and Manufacturers. Consequence A failure of the brake vacuum pump results in a reduction in braking power that could increase the risk of a crash. Remedy BMW will notify owners, and dealers will install a locking ring in the camshaft to retain the camshaft seal disk in the proper location, free of charge. The recall began on December 2, 2014. Owners may contact BMW customer service at 1-800-525-7417. Remedy BMW will notify owners, and dealers will modify the vehicles to prevent insufficient vacuum pump lubrication, free of charge. The safety recall began on January 31, 2014. Owners may contact BMW customer relations at 1-800-525-7417 or email BMW at CustomerRelations@bmwusa.com. Summary BMW of North America LLC (BMW) is recalling certain model year 2012-2014 320i, 328i, 320i xDrive, and 328i xDrive sedans; model year 2014 328i xDrive Sports Wagons; model year 2012-2013 528i and 528i xDrive sedans, model year 2013-2014 X1 sDrive28i and X1 xDrive28i vehicles and model year 2012-2014 Z4 sDrive28i roadsters. Due to insufficient lubrication, the vacuum pump that supplies brake power assistance may fail. Summary BMW of North America LLC (BMW) is recalling certain model year 2014 BMW 328i xDrive Sports Wagon, 2012-2014 BMW 320i Sedan, 328i Sedan, 320i xDrive Sedan, 328i xDrive Sedan, 2012-2013 BMW 528i Sedan, 528i xDrive Sedan, 2013-2014 BMW X1 sDrive28i, X1 xDrive28i Sports Activity Vehicle, 2013-2014 BMW X3 xDrive28i Sports Activity Vehicle, 2012-2014 BMW Z4 sDrive28i Roadster, and 2014 BMW 428i Coupe, and 428i xDrive Coupe. Due to insufficient lubrication, the vacuum pump that supplies brake power assistance may fail. Note: This recall is an expansion of recall 13V-454.